Finding an objective way to determine the most dependable home treadmills is a difficult task. How can you tell how dependable a treadmill is before buying it? Should we base it on price alone? Probably not a good idea, especially if your budget is limited. What about reading user reviews? This is a great place to start, but everybody has their own personal experience and it doesn’t necessarily equate to what your experience is going to be. Plus, even the most highly rated machines can breakdown unexpectedly or arrive with missing or damaged parts. After thinking about this for awhile, I decided that warranty is the most objective measure we can use when deciding how dependable a treadmill is. After all, what does it mean to be dependable? A dependable treadmill is one that we can count on to function properly time after time. It’s one that has a console and a motor that can handle the stress of us walking or running on a frequent basis. It’s one we can feel confident in when we purchase it because we know it should stand the test of time. And what is the only feature on a treadmill that can guarantee how long it will function? You guessed it, the warranty. To me, the warranty is the best measure we have in determining how dependable a treadmill (or any other piece of fitness equipment for that matter) is. After reading this article, you will know how to spot a good warranty when you see one. You will also get acquainted with the treadmills with the best warranties available today. Before we discuss what counts as a good warranty, we should probably review what a typical treadmill warranty looks like. 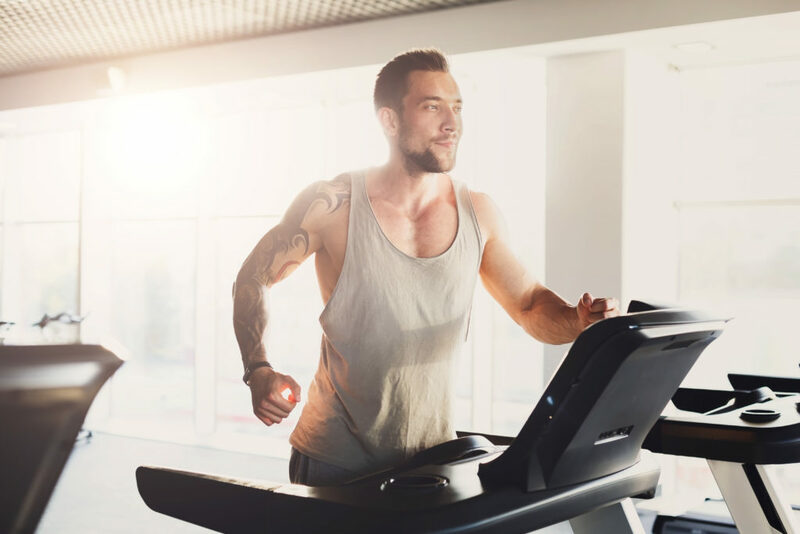 If you’ve been searching for treadmills for awhile and have already started comparing machines, you are probably aware that treadmill warranties come in a few different parts. If you’ve just started your search, then here’s to good timing! Here’s what you should know as you start comparing these warranties. Typically we see treadmill warranties divided into: frame, motor, parts/electronics, and labor. The frame warranty covers the frame of the treadmill (bet you didn’t see that one coming). The frame is basically the part of the treadmill that holds everything together. It’s what the console is sitting on and it’s what is holding the belt in place. The frame is essential to the treadmills function. It also takes a beating with repeated use. You might also see a “deck” warranty, but most manufacturers include it with the frame. The frame warranty should be the longest warranty a company puts on a treadmill. That is, the frame should last longer than anything else on the machine. The last thing you want is a wobbly treadmill or a frame that feels like it’s gonna break as soon as you step on it. A great warranty on a frame is lifetime. You should expect this on high-end home treadmills and commercial grade machines. Impressive mid-range treadmills can also have a lifetime warranty on their frame. A good warranty on a frame is 10-20 years. This obviously isn’t as long as lifetime, but let’s face it, 10-20 years is a pretty darn long time for a home treadmill. Most mid-range treadmills fall in this category and some higher-quality budget treadmills will too. A weak warranty on a frame is really anything less than 10 years. You will see all kinds of frame warranties on the budget machines. Some as low as 1 year. Believe it or not, some treadmills don’t have any warranty (I wouldn’t recommend purchasing these). The motor is one of the most expensive parts of the treadmill to replace, so finding a good motor warranty is important. Stronger motors tend to last longer because they don’t have to work as hard to keep up, but stronger motors usually increase the cost of the treadmill. A great warranty on a motor is lifetime. Again, high-end treadmills should always have a lifetime motor warranty, but a lot of awesome mid-range treadmills do too. A good warranty on a motor is 5-10 years. These are usually found on the mid-range and decent budget treadmills. If you are still using the same treadmill motor (not to mention the same treadmill) after 10 years I would say you are doing pretty good. A weak warranty on a motor is really anything less than 5 years. On budget treadmills you often see 1-2 years or nothing at all. The parts and electronics of a treadmill are what keep the machine working. These include all the wiring for the console, the belt, and everything else between the frame and motor. The parts and electronics are usually the first thing to go on a treadmill. Circuits burn out, wires come loose…these things just happen. A great parts & electronics warranty is 5-10 years. You should expect at least 5 years on high-end and impressive mid-range machines. A good parts & electronics warranty is 2-3 years. This is what a lot of mid-range and some of the better budget treadmills can offer. A weak parts & electronics warranty is anything less than 2 years. A lot of budget treadmills have 90 day parts warranties. I mean seriously, the company can only guarantee this thing will work for 3 months? Ouch. But hey, I get it, when you’re on a tight budget sometimes you gotta do what you gotta do. The labor warranty is what will cover the cost for you to hire a repair man to come fix your treadmill if something goes wrong within the time span of said warranty. Labor warranties are always the shortest of the bunch because it could get really expensive for a manufacturer to pay out for a third party handyman to come fix your machine. A great labor warranty is 2 years. I don’t think I’ve ever seen a manufacturer offer more than 2 years on a labor warranty (please correct me if I’m wrong!). A good labor warranty is 1 year. You often see this on quality mid-grade and nice budget treadmills. A weak labor warranty is 90 days (or less). Labor warranties this small are found on a lot of the budget treadmills. I’m not hating on the budget machines, I’m just saying- there’s a reason they are cheaper. I love the 3G Cardio Elite Runner treadmill for several reasons. It made it to the top of this list for it’s awesome warranty of course, but there’s a lot more going on here that I want to touch on. But to the warranty first. This treadmill has the perfect warranty. For a home treadmill, we can’t expect any better than this. 3G Cardio provides a lifetime frame and motor and an impressive 10 year parts warranty. The 2 year labor warranty is also as good as it gets. Well done 3G Cardio! Looking past the warranty, this treadmill was designed with runners in mind. The spacious 22″ x 62″ running surface is one of the largest I’ve come across in my research. This treadmill would be great for serious runners and tall runners- the longer belt length will ensure you have enough room to stretch out fully when running at higher speeds. The 3G Cardio Elite also has a 4.00 HP motor and a power incline up to 15%. This treadmill is all about getting the job done, so there aren’t many frivolous extra features. But when it comes to good ol’ fashioned muscle and function, few treadmills have more to offer. Overall, this is one of the nicest home treadmills I’ve come across. The 3G Cardio Elite is built to last, but just in case it doesn’t, it’s got one heck of a warranty backing it up. Click below to see what users think. The Precor TRM 425 is another commercial grade machine designed for home use. This is a treadmill that will give you the feel of a club machine, something we all want because club machines feel stable and strong. Precor is offering a generous warranty on this treadmill, especially in the parts department. The TRM 425 comes with lifetime frame and motor warranties, something we should expect from a treadmill of this caliber. The 10 year wearable parts warranty is quite generous and better than a lot of the competition. Precor does point out that the warranty on the console is only 3 years- if the console was included in the parts warranty it would almost be perfect. The labor warranty is only 1 year, but that’s still pretty good. Remember, 2-years is perfect, so they aren’t that far off. Besides a great warranty, the Precor TRM 425 has a good sized running surface of 22″ x 56″. The extra width should make running or jogging more comfortable. The 56″ length would make this treadmill more suited for folks that aren’t over 6′ tall. This treadmill has a 3.0 HP motor which can reach a max speed of 12 mph. Another interesting feature about the TRM 425 is that it can actually decline. That is, it has an incline range of -2% – 15%. This is a cool feature if you want to simulate running downhill, something that is important for serious runners. The Precor TRM 425 is a high-quality treadmill with an impressive warranty to match. This feels like a commercial grade machine- unfortunately it has a price tag to match. Overall though, this treadmill is built to last. Sole Fitness treadmills seem to always find their ways on to “best of” lists. I don’t think it’s a coincidence. The Sole F80 and F85 are always among the most popular home treadmills year after year. This is because they are incredibly durable and come with great warranties to back them up. You’ll see that the F85 comes with lifetime frame and motor warranties and an impressive 5 year parts warranty. Sole also provides a perfect 2 year warranty on labor. This package is almost perfect, the only part that could be better is the parts warranty, but we shouldn’t complain with 5 years. The Sole F85 also has a great sized running surface of 22″x60″. This belt is wide and long enough for anyone to comfortably run on. It’s also packing a 4.0 CHP DC motor that can reach a max speed of 12 mph and a max incline of 15%. This is another home treadmill that would be perfect for running- it would be hard for a home treadmill to match these stats. Another great feature the F85 can offer that the 2 previous treadmills could not is the ability to fold for storage. High-quality treadmills like the F85 take up a lot of floor space. Having the option to fold it up when it’s not being used is a nice perk if your space is limited to begin with. The Sole F85 is the total package. With its large running surface, powerful motor, and lengthy warranty it’s no wonder this treadmill is one of the most popular options around. And at roughly half the price as the previous 2 treadmills, the Sole F85 is a great deal. The Proform Pro 2000 offers the same great warranty as the Sole F85 and is priced similarly. This treadmill gives the F85 a run for its money, but personally I prefer the Sole because it has a slightly stronger motor and wider running surface. That said, this is easily one of the best folding treadmills on the planet. You’ll notice this treadmill also offers lifetime warranties on frame and motor, as well as a 5 year parts and 2 year labor warranty. Very impressive. I consider the Proform Pro 2000 a mid-range treadmill as well. This proves you don’t have to always pay the highest dollar for a great warranty. This treadmill has a spacious running surface of 20″x60″. This should be plenty of room for almost any user to run comfortably (maybe not if you’re like 6’6″). Proform threw a 3.25 CHP Mach Z motor in there giving this bad boy the ability to reach a max speed of 12 mph and a max incline of 15%. The Proform Pro 2000 comes with 24 different preprogrammed workouts. This is a ton of workout variety. This is really the only advantage it has over the Sole F85. If you are looking for a treadmill with an extensive workout list, this would be a great choice- it has enough variety to keep your workouts from getting stale for some time. Overall, the Proform Pro 2000 has a lot to offer besides a great warranty- these include a powerful motor, large running surface, and a ton of workout variety. This is one of the most highly-rated home treadmills on the market and has been awarded with “Best Buy” accolades in the past. Definitely a dependable treadmill unlikely to disappoint. NordicTrack is well known for offering great warranties on their treadmills, even on the budget and mid-range models. The C 1650 is a mid-range treadmill with a warranty better than most. It also offers a lot of other perks that make it a pretty smart buy. This treadmill has the exact same warranty as the two treadmills listed before it: lifetime frame and motor, 5 year parts, 2 year labor. The fun fact here is that this treadmill is priced about $700 lower than the other two. This is actually the cheapest treadmill to make the list. I think this has a lot to say with how impressive the NordicTrack warranties are. Besides the warranty, the NordicTrack C 1650 has a lot going for it. It has a 3.5 CHP motor that can easily reach a max speed of 12 mph. It can also reach a max incline of 12% – this gives you the ability to add plenty of variety and intensity to your workouts. Speaking of variety, the C 1650 comes loaded with 34 different workout programs. This is more than enough to keep you busy for the long haul, but in case you want even more options- the console is iFit compatible, which will give you unlimited workout variety with the daily workouts and Google maps routes. The C 1650 has a running surface that is 20″x60″, which is the perfect size for home treadmills. This is enough space to run or walk comfortably without feeling like you have to shorten your stride. As you can see, the NordicTrack C 1650 has a lot to offer and it’s well priced. Of the 5 treadmills discussed in this article, the 1650 has the most features and the nicest display screen. NordicTrack offers a great warranty on this treadmill, but many users have had complaints about how difficult their customer service is to work with. Buying a home treadmill will save you time and money in the long run if it means no longer having to go to a commercial gym. Not to mention the convenience of being able to run indoors and not have to worry about the weather. But buying a new treadmill can be a nerve racking experience because they cost a good deal and you want to make sure you purchase something that is going to last. Reading user reviews and learning about the companies that manufacturer the treadmills is a smart idea. But when it comes to determining machine dependability, the warranty is where we should be looking. Manufacturers will offer better warranties on treadmills they think will last longer. After all, these manufacturers don’t want to pay for your treadmill to be repaired or have to send you additional parts after you buy it. That cuts into their profit margin. Keep in mind that treadmill warranties usually come in 4 parts: frame, motor, parts, and labor. Consider all 4 when making your decision. Finding the most dependable home treadmills means comparing warranties and finding the best ones within your price range. It takes some work, but I hope this list sets you in the right direction. If nothing else, it should show you what kind of treadmills you should be thinking about when looking for dependable options.